I had to take a little blog vacation. I wish I could say that I've been relaxing on some tropical beach, drinking margaritas and reading trashy romance novels. But I know you know what I've been doing, because you've been doing exactly the same thing!I've been teaching 5 year-olds how to walk in line...how to get their lunch tray to the table without dropping it...how to find the next black page in their journal...how to sit on the rug without being a "wiggle-bottom." And I'm exhausted! But, as promised, I'm back with pictures of my classroom. As I was taking pictures today (with my horrible, grainy school camera), I realized that 12 days of school really takes its toll on a classroom! Things aren't nearly as crisp and clean...there are already so many smudges and stains and messes. Oh well..all in the name of learning, right? I'm very lucky to have lots of windows! Here are the cubbies as you enter the room. Here is my calendar wall. I've really simplified it this year. I'll go over my calendar wall and routine in detail in the coming weeks. Here is Baxter--our class mascot! We keep our Legos and other building toys in the green bins. Here are my shelves with many of my books and other supplies. The tubs on top are full of thematic theme stuff. The kids hang their backpacks underneath. Here's our sink. Sadly, there's no water fountain. Here are the tubs I keep my materials for each day in. I bought them with my PTA money last year. Thank-you PTA! I keep my guided reading materials in these drawers, sorted by reading group. (Although this year, I hope to do more individual reading conferences with books the kids choose themselves). This is my "Ready to Read and Write" center. At the beginning of the year, it's a lot of fine motor activities and puzzles. As the year progresses, I add rhyming and other phonemic awareness activities. Then, I add lots and lots of onset/rhyme word work. It's kind of a hodge-podge, hence the name! You may notice that my centers are color-coded. This helps the kids figure out what center they're at and which activities they can do. This is our green center! Our ABC center is red! It has lots of letter/sound activities and ABC puzzles. I will go over each center and the activities in them in the coming weeks. This is our classroom library. The tree is my favorite thing in the room! It's a cat scratch thingy I bought at IKEA two summers ago. (I haven't seen them there, lately. Maybe they've been discontinued?) I added the green circles made from scrapbook paper. They're attached with magnets, so I can change them with the seasons. My books are sorted by theme and authors. I'm going to add more author boxes as the year progresses. I also have leveled books and a shelf with seasonal or theme books. Here is the stand I keep my poem charts on. Here are our book boxes. So cute! Here is my math center and my soon-to-be-filled Math Word Wall. Here are tubs of manipulatives--easy access for the kids. Here are the tubs we use for our problem-solving tools. Little birdies hold student work. My teacher desk...which I got rid of last year only to have it forced back on me this year! So, now that I'm settled in, look for regular blog posts again! I will post more problem-solving this weekend. And if you haven't posted a link to pictures of your classroom yet, be sure to do so. We would all love to peek! I hope you all have a wonderful, peaceful, first few weeks of school! Love your room...love your site. I'm glad you are back...we need some fresh ideas! Love your room! It looks HUGE!! Nice job! I have been looking for a bargain in the way of red fabric and seeing yours makes me want it all the more. I have 3 windows, each 80 inches wide. That's a lot of fabric! and i love your reading tree...i was needing some inspiration, as my reading center is blucky! thanks for sharing your room with us...i am the same about teacher desks...but it has to stay with the room...ugh! I am so thrilled to have found your blog! 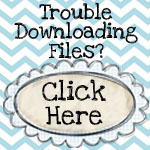 I found you through Mrs. Kilburn's Kiddos blogroll and I have added your blog to mine as well. You have a wonderful classroom environment and I am happy to see my favorite little monkey - Curious George - represented. I am a kindergarten teacher in New York City working at a Dual Language (English and American Sign Language) school. It is bliss. I look forward to reading more about your journey. Oh, we got rid of our desk a few years ago and it was a great decision as it really opened up the room. Do you have to have one? Love your book boxes for each child! I've never seen the idea of using their pictures on the boxes. I LOVE IT!! Your room is fabulous...so big...and so many windows...and storage. Mine is so small...and stuffed with 25 little bodies. You have some great ideas - I did use photos for my book boxes but the idea of having them "read" books is so cool! How did you make you type onto the cute polka dot labels? Are they from a sheet or did you use the name tag type from the Parent Teacher Store? It is going to be my first year out next year and your site has given me some great ideas. You have said that you will be putting your labels up but I haven't been able to find them. Will you be able to share any classroom labels you have? Love your room set up! You have some very creative ideas. Thank you for sharing them. I also teach kindergarten and try to keep things organized so that centers (and everything else we do) can run smoother. Can you share the center labels, my class can greatly benefit from them? I LOVE your tree. I'm sure the kids love it, too! I'm so excited to find your blog!! I love you pictures, it gives me some ideas, even though my classroom is much smaller! What are you using to hang your poem charts? I teach PK and have mine on rings, but when the kids flip them sometimes they fall off or the holes punched in them tear - your way looks so neat and nice! Oh. My. Goodness. Your room is amazing and you have a zillion ideas!! I just found your blog and will be a faithful follower, I just know it. :) Thanks for posting. I can't wait to borrow some ideas! I want to appreciate the author for giving us the information about the meeting.I loved to read that. Thank you so much for sharing the post with all.You are bookmarked in my favourites. You are truly a gift to your children. I can sense your passion and commitment. After 38 years and many unfortunate circumstances, I now find myself without a job. (much to my sadness) So, you are right, relax and enjoy being with your students. Everything else will fall into place. You never know what is next! I just found your site and I LOVE IT!!! I taught 5th grade for seven years, and 8th grade for five years before that. This fall I'll be teaching Kindergarten, and I'm excited and nervous all at once! Our district has gone from half to full day, so we added several positions. Instead of inheriting a retiring teacher's classroom, I am starting from scratch, and feeling a little overwhelmed. I get the feeling that your incredible wealth of information/ideas/downloads is going to get me through the year:)! I so hope my daughter gets a teacher like you when she goes to kindergarten! Thanks for sharing your ideas and resources! I am interested in the reasons why you wanted rid of your teacher desk...you could use it as a writing or other learning station for your students. Our school doesnt have desks for teachers but we have a shared work room for each group of four classes, this has a table to share with other teachers, encourages collabortion.